TSOACs have previously been found to be at least non-inferior to VKAs with regard to efficacy, but the risk of bleeding with TSOACs remains controversial. 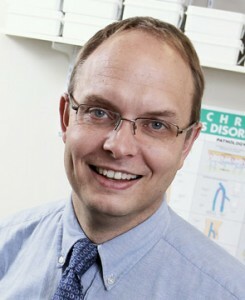 Authors led by Professor Mark Crowther (McMaster University, Ontario, Canada) performed a systematic review and meta-analysis of phase-3 randomised controlled trials (RCTs) to assess the bleeding side effects of TSOACs compared with VKAs in patients with venous thromboembolism or atrial fibrillation. They searched MEDLINE, EMBASE, and Cochrane Central Register of Controlled Trials; conference abstracts; and www.clinicaltrials.gov with no language restriction. Two reviewers independently performed study selection, data extraction, and study quality assessment. 12 RCTs involving 102,607 patients were retrieved. TSOACs were found to significantly reduce the risk of overall major bleeding (relative risk [RR] 0.72, P < .01), fatal bleeding (RR 0.53, P < .01), intracranial bleeding (RR 0.43, P < .01), clinically relevant non-major bleeding (RR 0.78, P < .01), and total bleeding (RR 0.76, P < .01). There was no significant difference in major gastrointestinal bleeding between TSOACs and VKAs (RR 0.94, P = .62). When compared with VKAs, TSOACs are associated with less major bleeding, fatal bleeding, intracranial bleeding, clinically relevant non-major bleeding, and total bleeding. Additionally, TSOACs do not increase the risk of gastrointestinal bleeding, the authors conclude.